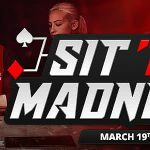 Following on from its short-term experiments with Showtime Poker, Unfold Poker, and Split Hold´em Poker, PokerStars has launched a new Fusion Poker game. 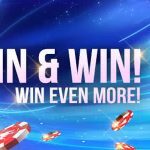 Earlier this week, PokerStars released its new Fusion game on its Danish platform and, after a successful trial, the game was added to the dot-com network yesterday. The tables have been quite busy with plenty of players trying it out – not only because of the novelty value, but because it can be a confusing game to play for some players, so there is plenty of money changing hands at the tables. The reason why it is a confusing game for some players is that each game begins similar to a hand of Texas Hold´em in as much as players are dealt two hole cards each. However, by the end of the hand players have four hole cards and five community cards from which they have to make the best Omaha hand possible – using two of their hole cards with three of the community cards. Confused? Fusion is played six-handed in Pot Limit format with the players to the left of the dealer paying the Small Blind and Big Blind. As described above, the action starts with each player being dealt two hole cards, after which there is a round of pre-flop betting. Then, when the first three community cards are dealt, each player still in the hand is also dealt a third hole card. The third hole card increases the number of options a player has post-flop. All of a sudden pocket Aces can be vulnerable against a Flush or Straight made with low suited or connecting cards that a NL Hold´em player would usually muck before the Flop. Then, to complicate matters further, when the Turn card is dealt, each player still in the hand receives a fourth hole card before the River card is dealt. This is the point at which seasoned Texas Hold´em players often finds out they have over-bet their premium pair and either have to bluff their way out of trouble or acknowledge their mistake and fold gracefully. Meanwhile, seasoned Omaha players have been calculating their odds throughout the hand and are ready to pounce at any sign of weakness. We want to give our players games that they have never played before and bring a unique offering to the table. Fusion mixes two well-loved formats together, giving an exciting twist to the game. We eagerly await player feedback and look forward to seeing everyone joining the tables and giving Fusion a try. Players who have not yet tried this game should head over to PokerStars within the next couple of weeks. The site has said Fusion is not going to be a permanent fixture in the cash game lobby, but a “break from regular games”. For players who latch onto the strategy quickly, it could well be a profitable distraction, and it might even result in some players turning away from the relatively boring “Fold´em” Poker in favor of the far more exciting Omaha format. Time will tell.